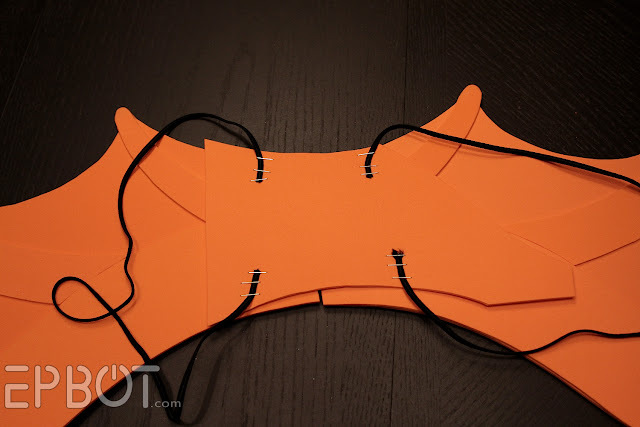 EPBOT: DIY Dragon Horns & Wings, Part 2! 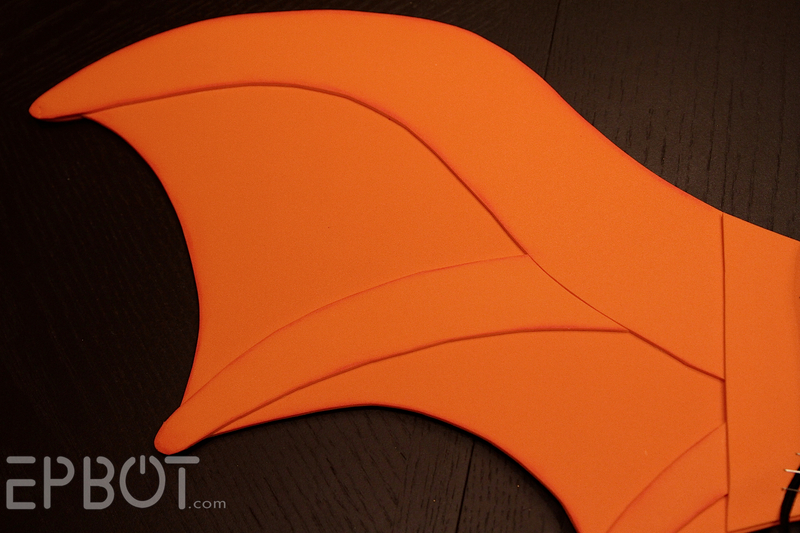 Now it's time to show you how to make some easy light-weight wings to go with your clay horns! 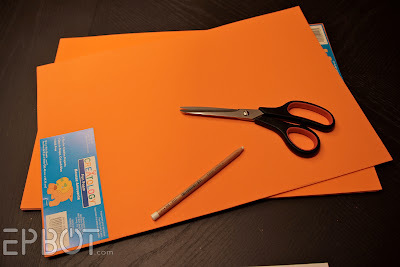 All you'll need other than typical supplies like scissors, pencils, and glue are two sheets of craft foam (three to be safe) and some thin elastic cord. 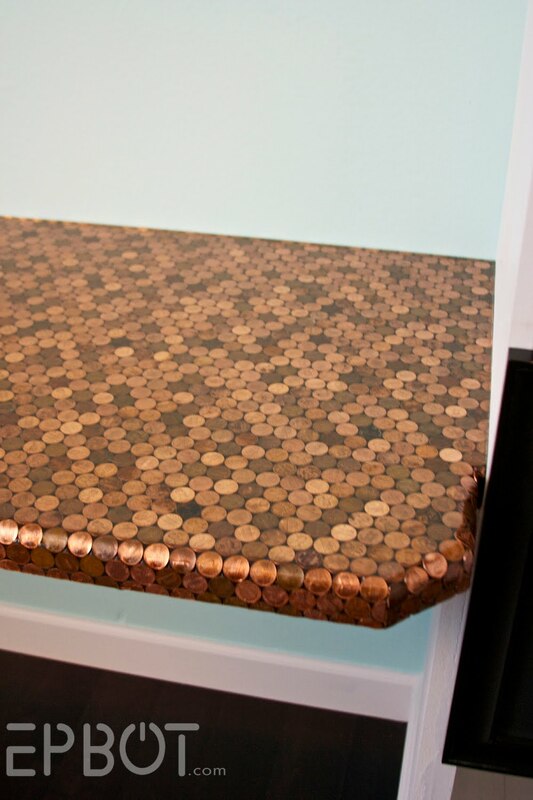 You can find this at any craft store - or even Wal-Mart, I believe - for less than a dollar a sheet. It's not easy to erase marks off of the foam, so use something light and be careful with your lines. If you do need to erase something, try rubbing the foam with a Magic Eraser or a damp wash cloth. 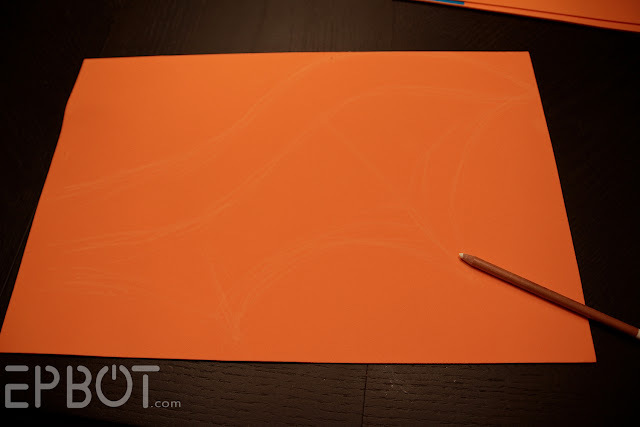 You can see that I'd already sketched this shape into my original wing. 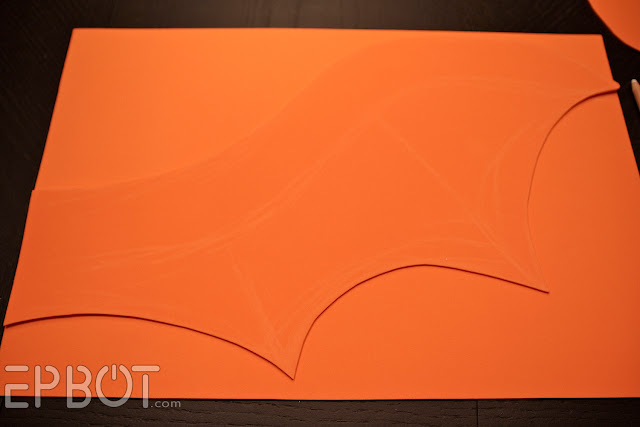 To get the shape onto the foam I traced the top edge of the wing and then free-handed the lower edge, comparing it frequently to my wing to get the shape right. 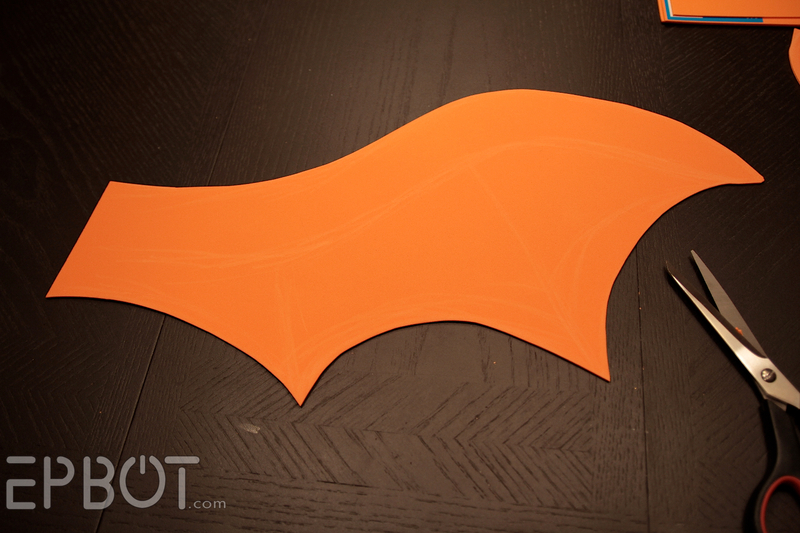 Just like with the wing, once I had the first spine cut out I used it as a template for the next three. Next sandwich your wings between the spines. I used plain white craft glue, but I'm sure hot glue or most other adhesives would work just as well, if not better. Weight your wing sandwich down with a heavy book or two and allow them to dry. All of these pieces came from the same two sheets of craft foam, by the way, so I'm just using scraps here to form the extra spines. Play around with the curves until it looks right to you, and then trace and cut the shapes so you have a total of four of each. 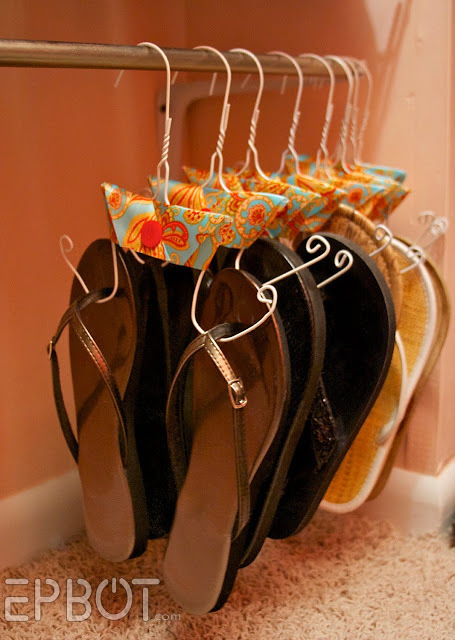 Glue everything down and allow them to dry. First, check your wingspan by having someone hold the wings up behind you. Mine were a bit too wide/long, so I trimmed off about three inches from the interior edge on each wing. 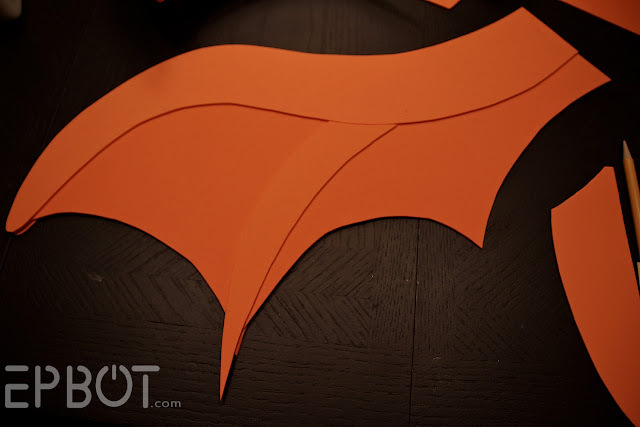 When you're happy with the wingspan, lay your wings down on a hard surface with the two interior edges butted together. 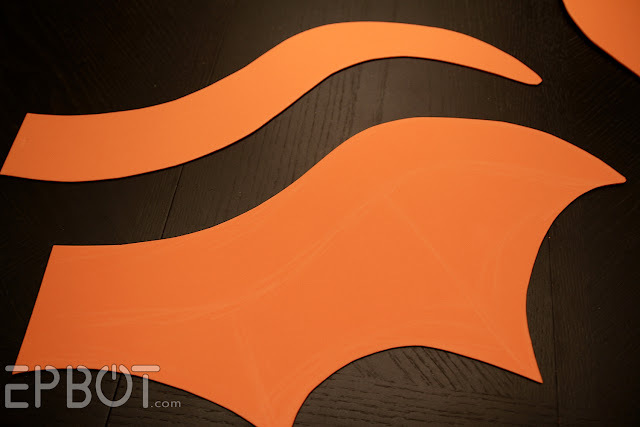 Cut out a large square that will overlap the center of both wings from your scraps of craft foam, and slip it beneath the two wings. 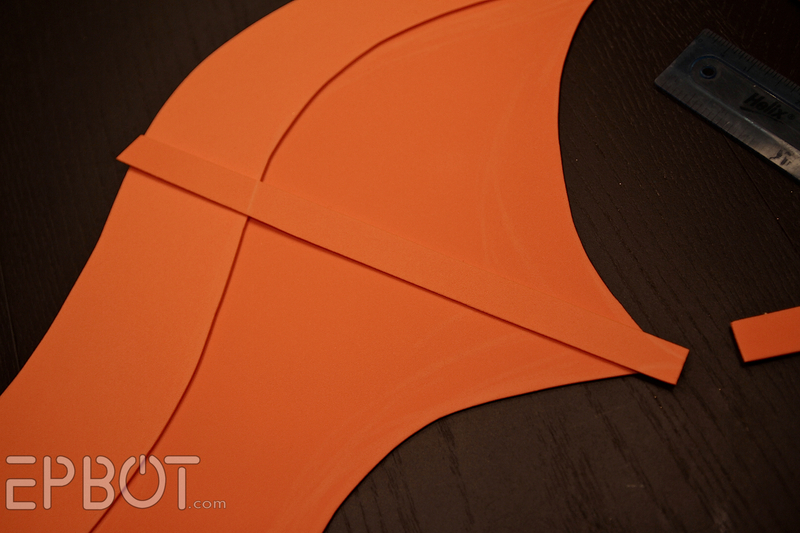 Trace the upper and lower curves of the wings onto your new square, and then trim it so no extra foam sticks out from beneath the wings. That's my foam square on top - I used yet another scrap of craft foam for this piece, which is why it's a funky shape. This is the side that will be against your back, though, so don't worry about making it too pretty; it just needs to be functional. As you can see, my piece overlaps both wings. 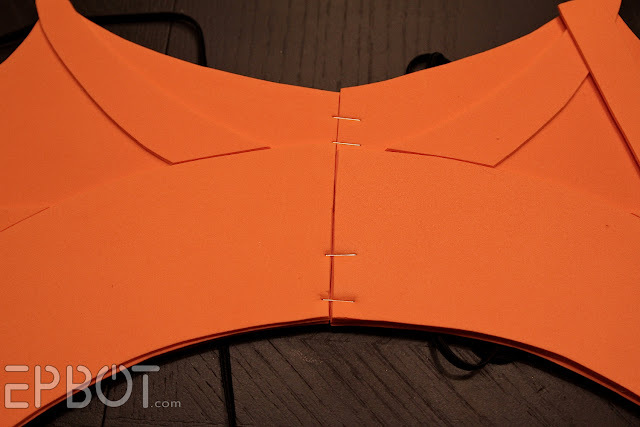 BEFORE YOU GLUE THE SQUARE DOWN, attach your elastic cords with staples. Make sure you staple through the cord, and not just around it like I did. (Mine would probably pull out if I yanked hard enough.) 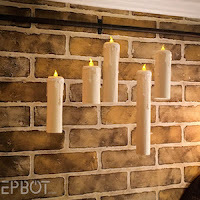 You can also add a dab of glue to the cords for extra strength. 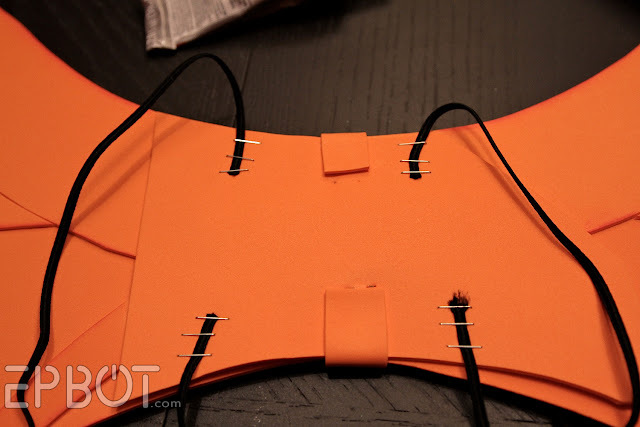 Once your cords are securely attached, go ahead and glue the center foam piece down over both wings. Weight it down and let it dry. 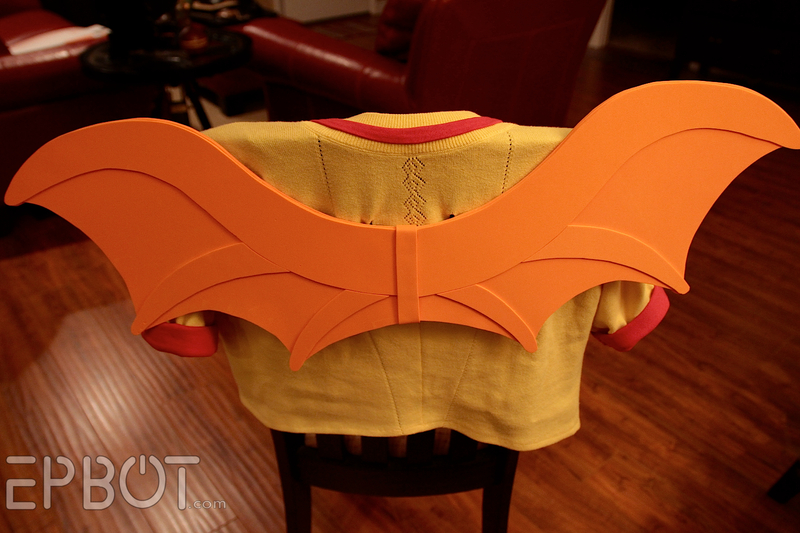 This is the finished front side of the wings - or the side that goes against your back. And here's the finished back! To hide my elastic cords I fed them through two tiny holes in my costume's top - which required me to go back and add jewelry clasps to the cords so I can unclip them. Just use crimp clasps and lobster claws if you want to do the same thing. I hope you enjoyed, and that this inspires a bunch of dragon/fairy/bat/devil costumes out there! The company that makes the foam actually makes a glue specifically formulated for foam. Depending on how many times/how crowded your party will be, I might suggest that over plain Elmer's. 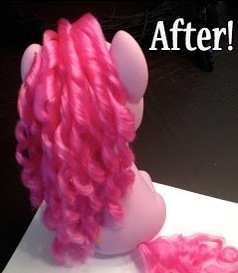 And I would not really use hot glue- peels off of the foam really easily in my experience! Cute wings! Loving the freehand! OMG! I do know what you mean! 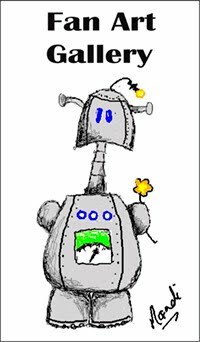 We did lots of foam craft as kids! About that thickness is the most fun, any thicker and it gets a bit hard! 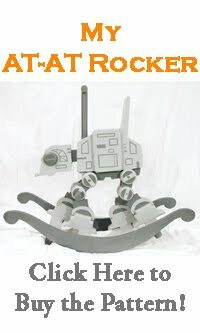 now I really want to make this! 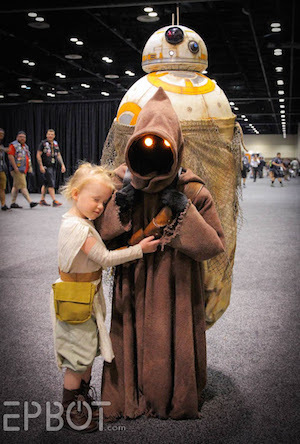 So cute, I am loving seeing how you put all your costumes together. I use craft foam a lot for cosplay and I agree that it works really well for wings. I've actually used it to make feathers for bird wings, it's light, can be painted for detail and holds its shape while still being flexible, perfect for cartoony bird wings! Hot glue isn't the best for foam though, it can get a bit blobby and show through underneath layers which makes the foam look much less smooth. I either make sure to use thin layers of hot glue or use contact glue these days. Also, I love the little purple dragon you're making this costume for. You are totally awesome! Nice shot of them hanging draped over Figment's sweater. They look really good! You have no right to call yourself lazy. You are an insult to lazy people everywhere, what with all your craft projects that are *finished* and stuff! And 2 highly popular blogs that are *always* done! If you're lazy, I'm dead. 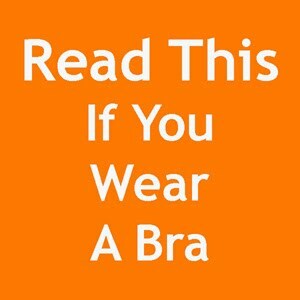 (: Thanks for being the major source of my internet entertainment. Interesting! I wouldn't have thought 2-3 sheets would give you that much wingspan. I made a charizard costume for my oldest son about 10 years ago, but I used felt. They were kind of droopy. I wish they'd had foam sheets back then. My son was just bragging in the grocery store last week: "Mom made TWO SETS of wings for ME." :) Every now and then, they appreciate the work that goes into things (the other set of wings was a Buzz Lightyear costume, also out of felt, if anyone's interested). hmmmmm now i want to know how you will make the tail.. lol my daughter wants to be a dragon for halloween and so now-5 days before halloween we will try and make her this costume using your methods for wings and horns..we will probably have to just wing it for the tail. i really like what you've done, and thank you lol because i had no idea how to even approach a dragon costume. I love how simple this is, yet effective. I might even be able to pull this one off, and I flunked scissors in kindergarten. EEK! so cute! Since I have 2 kids and have to deal with their costumes (and my 12 yr old wants to be a Steampumk gentleman thanks to you! ), I usually just wear a fleece butterfly cape but maybe I'll be daring and do some wings this year! Did you decide on your costumes when you found the PERFECT Figment Sweater!? Right on, can't wait to see finale. I'm a jelly fish this year, and with the impending "FRANKENSTORM" hitting the east coast my homemade umbrella with tentacles might be just right! Amra, one of the contestants on Face-Off did a tail awhile back, and I think it was just newspaper or tin foil wads roughly in the shape of the tail and long strips of duct tape to cover it over/hold it together and give it it's final shape. 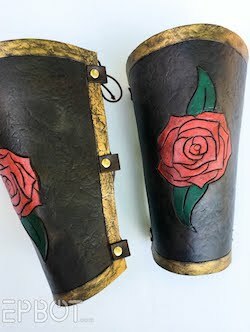 Then paint it or cover it with fabric to match the rest of the costume and tack it on. Jen, can't wait to see Figment! I didn't want to be a creeper, and I was running to catch my bus, but I saw you and your husband walking to the Magic Kingdom and I had to do a double take because his costume was amazing! Thanks for these tutorials Jen! I've decided to change my costume (for the third time :P) to a Female Satyr, because of your horn tutorial! (Too much Percy Jackson? NEVER!) Can't wait to see your finished pictures! Would maybe rubbing alcohol work for erasing on the foam? Someone I know taught me how to make similar wings, but wired so they can be bent into shape. You can take one wing form, then bend a wire shape on the inside, then glue another wing form on top (sandwiching the wire inside). 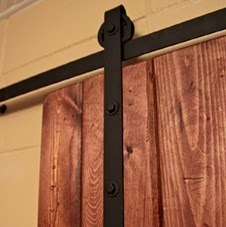 Amra, how about a coat hanger wire armature with quilt batting and felt over it? The felt would let you do zig-zags for the "spines" on the tail, too. Can't even contain myself right now. I cannot wait to see your final costumes!!! Have a great time at the party - I can tell you're both going to look fantastic! Thanks so much for the wings tutorial. I made some purple and black wings for my friend's cosplay outfit and they worked out great! THANK YOU. I was planning on making wings for all the little cousins this Christmas and this was exactly what I needed. Ooh I'm gonna cosplay as human toothless and I have a few giant sheets of craft foam lying around and this will be perfect thanks! I have to make these and make them gold with rub n buff. I have shared this on my Magical Things Fairy Day Roundup post.